The Lickers are some of the most iconic Resident Evil baddies. The image of slowly walking in the Raccoon City Police Department, only to stumble upon a Licker hanging from the ceiling, is ingrained in many gamers’ minds. 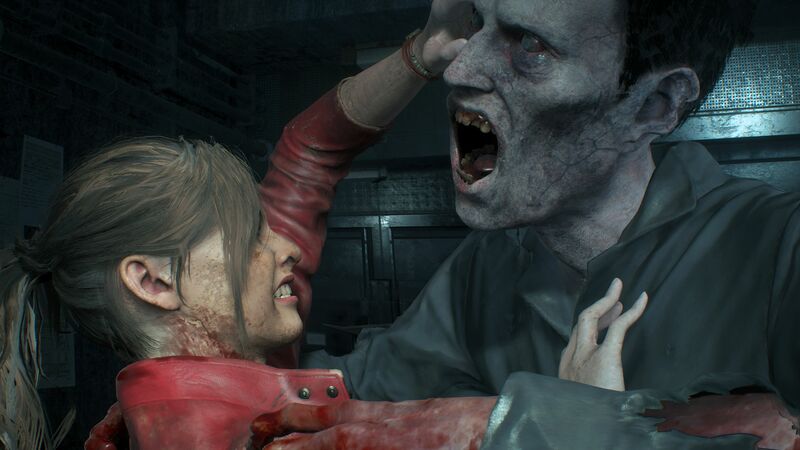 We’ve been getting more information on 2019’s Resident Evil 2 remake (if you decide to call it that), which includes looks at some fan-favorite elements from the 1998 original. We’ve seen Ada Wong, William Birkin, and the infamous police department, but the Lickers remained a mystery. In gameplay footage released by IGN, we get to finally see the Lickers in action. Rest easy (or not), because these guys are as terrifying as ever. They may be even more terrifying than before. As you can see, the Lickers stay true to their appearance from 20 years ago, exposed brains and all. Unfortunately (or fortunately, depending on what kind of person you are), they seem much more aggressive this time around. They still cling to ceilings, although they move across the ceiling and floor when engaged in combat. They also seem to be hard to take down and will require quite a bit of firepower to defeat. If this is any indication, the Lickers will be just as nightmare-inducing in 2019 as they were in 1998. Resident Evil 2 will release on January 25, 2018 for the PlayStation 4, Xbox One, and PC.